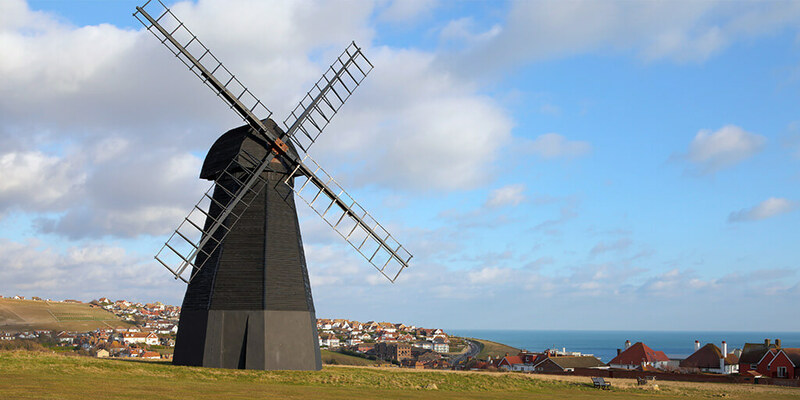 Looking for expert sash windows repairers and installers in Rottingdean? We are the leading name in the local community, and have worked on sash windows throughout the area. Check out our testimonials and you will see why we get so much repeat business. We are experts in the repair, restoration and installation of sash windows in Rottingdean, and the Brighton area as a whole. For a relatively simple mechanism there are quite a few things that can go wrong with sash windows. The most common complaints are windows jamming, rattling, letting draughts through, and rotting. We can work on both the timber and the mechanism to ensure that the windows are draught proof, operate smoothly and look great. We can even install double glazing if your windows have been broken, or just need the extra energy efficiency. It is inevitable that over time your sash windows will deteriorate. The elements will begin to affect the integrity of the constructive materials, and things won’t work as perfectly as they used to. In this case you have two main options. Many of our customers are surprised that there windows can be renovated rather than needing to be replaced. Our team of master craftsmen are able to sympathetically restore even fairly damaged windows. We work on sympathetic restoration projects on listed buildings, exciting trendy sash windows on commercial and residential buildings, and always get the job done right. There are very few situations we haven’t seen before and so we can troubleshoot more effectively than just about any other sash window restoration company out there. If you have already chosen your sash windows we can install them for you. If you are at the beginning of the process then we can help source the best designs for your building we can help you choose between Centre Bar, Non-Bar, Asymmetric, Georgian, Half Georgian, Margin and all the other styles out there in the marketplace. We have excellent connections in the Sash window industry so our customers benefit from excellent prices on hardware. When you call us in we take time to completely survey your requirements to figure out all the work that needs to be done. The conclusion of our survey is reflected in the comprehensive quote you receive. The quotation is completely free and in no way obliges you to work with us. If a renovation project is decided upon then we do our best to keep as much of the original window as possible without having to use excessive amounts of fillers; it is a balancing act. Where it is necessary to replace timber we make sure we use a replica of the original. Our expert joiners create seamless renovations. At the end of the repair process, we install perimeter draught proofing to eliminate all draughts and rattles and reduce the penetration of external noise pollution. The seals we install also function as bearers that allow the sashes to slide smoothly. To find out more about how we work, and to get a free consultation and quotation, get in touch with sash windows Brighton today.